The Raving Queen: Girls, After 36 Years, It Still Broke My Heart!!!!!!!!!!!!!!!!!!!!!!!!! Girls, After 36 Years, It Still Broke My Heart!!!!!!!!!!!!!!!!!!!!!!!!! 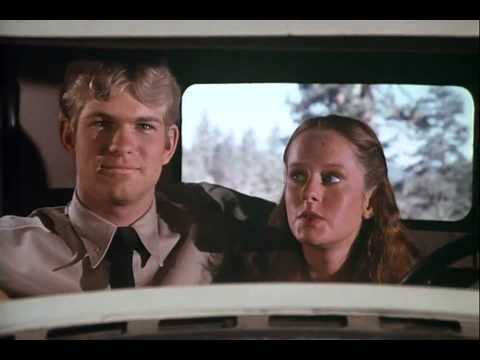 But now, with all this talk of "The Waltons," and Mary Beth McDonough as Erin, I decided to see if it was available--and it was, on YouTube. I have just watched it, and let me say, it still packs a wallop!!!!!!!!!!!!!! And the memories it brought back! In November of 1977, I was just six months out of college, and innocent as all get out. Well, sort of!!!!!!!!!!!! Thursdays, back then was "Waltons" night, which came flooding back to me, today, as soon as I heard the familiar theme, and saw the sepia toned image of that house. But, when, I wondered, did the credits stop billing Michael Learned as "Miss?" Because, in the early days ,they always did!!!!!!!!! She played television's most famous Olivia a good quarter century, or more, before Mariska Hargitay would play another!!!!!!!!!!!!!!!!!! But back to the episode. Titled, "The First Casualty," it is set in 1939, in the early days of what was to become (but hadn't quite, yet!!!!!!!) World War Two! But men were being called up. Or joining. One of those who joined was Erin's boyfriend, G.W. Haines, played by David Doremus. Who was once Hal on "Nanny And The Professor," and what a good looking young man he turned out to be!!! Hubba!!!!!! Hubba!!!!! You had it to hand it to "The Waltons;" it was one of the first family shows of the time I can remember, where it allowed Time to move on, and the children to age before our very eyes. Not many shows did that. And I had forgotten how well written and structured it was, as a show--in just an hour (or, with commercials, 47:39!!!!!) --in addition to the tragedy central to the title, it covered the care and feeding of Yancy's pets, his marriage to Sadie, his enlistment, rejection, and return to Walton's Mountain, as well as Mary Ellen's husband, Curtis, being called up to serve at Camp Lee, and the effect all this has on her. Not to mention Olivia feeding Yancy's pigs, and , Corabeth Godsey (the wonderful Ronnie Claire Edwards) singing "I Love You Truly," at the wedding. The only thing missing in this one are the Baldwin Sisters, but they got plenty of exposure elsewhere. Central to the story is the touching, tenuous relationship between Erin and G.W., superbly played by both Mary Beth and David. He has joined up with the Army. While he admits he does not like war, he wants to do the right thing, even though Erin tells her mother he did it, largely to impress her, and she knows how scared he is. G.W. 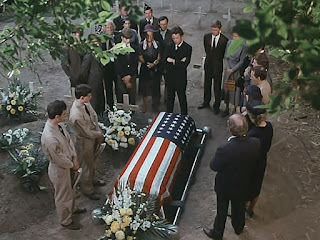 has been sent to training camp at Camp Lee, and almost as Kurt says goodbye to Mary Ellen, G.W. comes home on a weekend furlough. The sweeping landscape shot of him running to greet his parents was the first time I cried! There is another scene, on this land, with Erin and G.W. walking on it, he explaining how his parents gave all this acreage to him, indicating his deep love for it, the animals he takes care of on it, and intimating that, someday, this will be his and Erin's. But, comes the end of the weekend, and G.W. has to go back. He and Erin bid farewell, and, on the bus, we see him writing not one, but two letters. I clutched my heart, because I knew exactly what the second letter was that he is writing. Meanwhile, Erin is in her special place by the pond, writing to G.W. too. Later, at home, Mary Ellen suddenly returns, unexpectedly, from her weekend visit with Curtis. She is quiet, and upset, looking directly at Erin. Finally, she tells them--Curtis is outside, because G.W. was killed in a training accident, and Curtis offered to bring him home. Curtis explains what happened. The way I understood it, G.W. was practicing gernade throwing. He and the boys had been practicing on bottles filled with water, but this was their first time with the real thing. G.W. took the gernade, pulled it, but hesitated for just a second--because he saw a rabbit! He throws it into the air, to avoid the rabbit, but apparently, it falls too close to him, so he is killed. G.W. did love animals, after all!!!!!!!!!!!!!!!!! 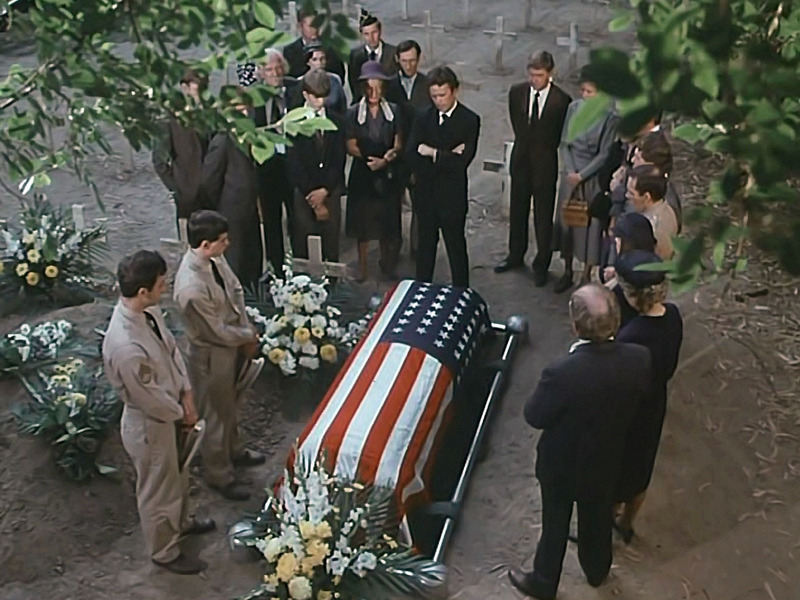 Everyone is devastated, and the second time I cried was when Curtis went to G.W. 's parents, to tell them. Erin is in a state of shock. She doesn't know what to do, or how to react, what to think, what the years now hold for her. I had forgotten where she is so overcome, she cannot bring herself to attend G.W's funeral. I was horrified, but, remember, this is "The Waltons," and nobody is going to screw up this story NOW. And here it comes--the final scene, which completely broke my heart!!!!!!!!!!!!! It starts with a beautiful close-up shot of Erin. As the camera pulls back, she is clearly on the land belonging to G.W., where they had been, while he was home. She sees deer, horses, birds flying--it is like she can see G.W., like he is all around. Which, I believe, he is. Along comes Pa Walton, and Ralph Waite plays this scene beautifully. He says he knew he would find Erin there--he understands, as we come to, that she had to be near what and where she and G.W. loved best. And that was not by a graveside. Mr. Walton kneels down beside Erin, saying he has for her, a note. It is something G.W. wrote and sent to him, to be given to her, in case something happened to him. Erin asks her father to open it ,and read it aloud. Ralph Waite does, with that great voice he has. It is G.W. telling Erin he is writing this on the bus, and, if this is opened, he has something he wants her to know. He says the letter is a will, is for legal purposes, and that, in the event of something happening, he bequeaths all the land his parents gave him to Erin!!!!!!!!!!!! Father and daughter look at one another, and Erin, who till now, has not been able to cry properly, breaks down, falling into her father's arms, with the camera doing this stunning, panoramic pullback of the inherited land, in all its beauty. The episode should have ended there. But, being "The Waltons", it has to get in those "Good Nights." While Erin contemplates the future on the porch, Elizabeth is heard asking her mother if Erin is all alone. Olivia says, "I don't think so." We know what she means, and Elizabeth says "Good Night," for a fadeout. It took me a good fifteen minutes to pull myself together, at this present time, after watching this, 36 years later. Few things on television in my time touched me so deeply as that scene with Erin and her father on the land! I get choked up, just talking about it. So much so, that, while I do not often do this, I found myself thinking about Erin in the years ahead. First of all, if the story took place, in 1939, and Erin was about, say, 16, then today, if alive, she would be 90!!!!!!!!! I am not sure if she would still be alive, but of this I am certain--that she never forgot G.W. and that, when she married, (And you know she did, darlings!!!!!! How could she not; she was a good, mountain raised Walton girl!!!!!!!!!!!) she and her husband built a house, lived, and raised their children, on that very land!!!!!!! If alive today, you can bet that is where Erin is!!!!!! If not, to be sure, she is buried somewhere on it!!!!!!!!!!!!!! David Doremus!!!!!!!!!!!!! As far as I am concerned, they will ALWAYS be Erin and G.W.!!!!!!!!!!!!!! !